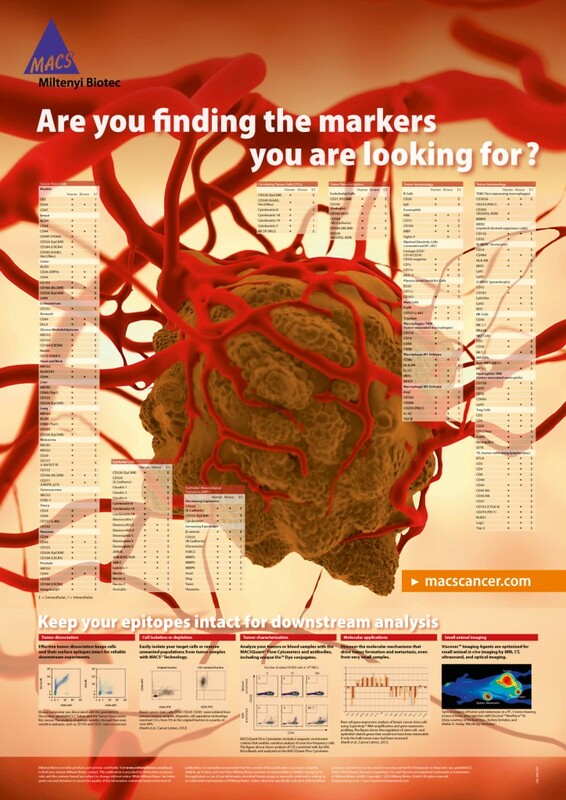 Poster, done for researchers (in the cancer field), showing a list of actual known markers for cancer cells. Original size 70 x 100 cm, 4C-Euroscale print. Link to small PDF of the poster.